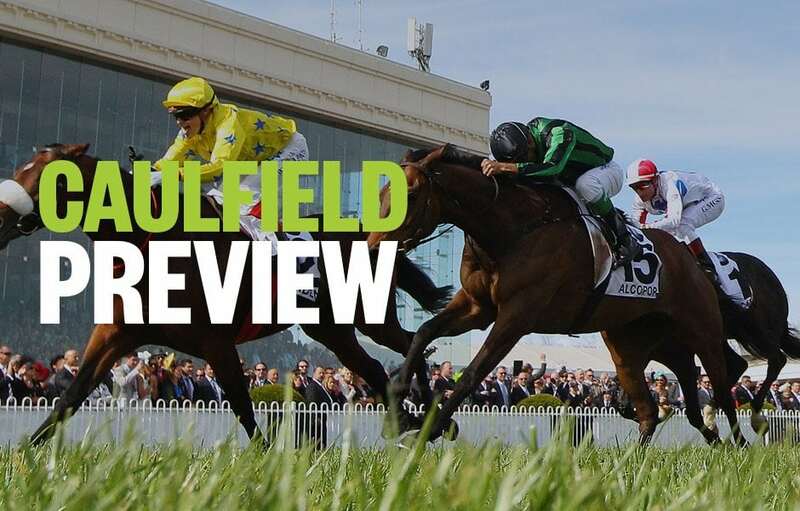 Form student, RIC CHAPMAN, previews Saturday’s meeting at Caulfield, with horse racing tips and analysis for all nine races on the card. Good luck, punters! HIGHTAIL is the best horse in this race but has a bad draw and is 2nd up. If he runs, and gets cover and is on his game, he swamps these. LUCIFER’S REWARD is fast and after nice debut win stepped up to better grade and was thrashed at Bendigo. Worth another chance. GERALDINE’S JEWEL won on debut too in an easier race and went home hard to win. Can make the step up here. Rates highly also. RENEWAL had to bob and weave his way through traffic last start in this grade and to wind up 4th was a herculean effort. Better suited now 3rd up and look for him in the Tulloch colours late. FRAGMENT has run 3 times this campaign and all have been good and improving each start. Should be ready to just about pounce here. TAN TAT TRUSTING is resuming but has talent and goes well fresh. LA BELLA DIOSA is slowly, ever so slowly, making her way back to best form. Not disgraced when battling 8th similar race last start. Fitter now and could surprise at big odds. ARRAJA resumes here but was handy this and better company previously. Should be running on. TRULY DISCREET is also 3rd up after some useful efforts to get her fit. Be wary. Interesting race here. At his best BONDEIGER is a fair bit better than these and he is in pretty good form. Is fit too. Looks very, very well placed. STEEL PRINCE has won past 2 this grade and is as tough as old boots. Rates highly. ROCKARRAL is up in grade but recent form has been first rate. Chance. Good race. SECRET BLAZE carried more weight than the in-form BUDD FOX last start, came from gate 13 yet wore down the other horse to win lead up race to this impressively. And now, after beating him, meets him 2kg better! Big chance. TRANSACT is fast, probably leads and will hang tough for third as he did last start. Good show again. OUTRAGEOUS was impressive winning first up then sent straight to better grade and had to work to lead before wilting late. Third up here, gets 3kg weight relief and down in grade – adds up to a good bet for mine. So must be considered MONTENEGRO MAN and TARWIN who will carry nothing after their respective claims. Both are in form in weaker races but weight is a big help. So much speed on here. That may well suit this Irish bred and Irish raced 3YO called YULONG YUHENG. He’s been around in Gr 1 races over there and on debut in Australia last start was only 3 lengths back in Listed race. Watch the market. Well drawn. HALVORSEN is talented and was very consistent when last in work. Resumes here but has won first up in the past. MESSERSCHMITT is up in grade here but deserves a crack at them as he’s in a powerful stable and has won past 2. Good race. BONS AWAY loves this track, loves Linda Meech and is drawn to get back in middle of pack, with cover and come with a powerhouse run. Looks the one to beat. EDUARDO is all class and after being thrashed in the Gr 1 Newmarket came out and looked a million dollars in recent trial. Perfectly drawn too. CREATIVITY was strong 3rd when resuming. Is expected to run boldly again. Great race. Strong race to end the day. PACODALI is classy and better than most of these. Does resume though and does like it a little longer but being fresh and drawn perfectly make him a chance. LITE’N IN MY VEINS has been disappointing since spell but is 3rd up now and on his day is capable of leading all the way here. PLEIN CIEL is 3rd up also and he can improve on average efforts since spell. Suited here. Watch betting.